Vibrant immigrant enclaves steeped in old world values and ethnic food are part of the American landscape. 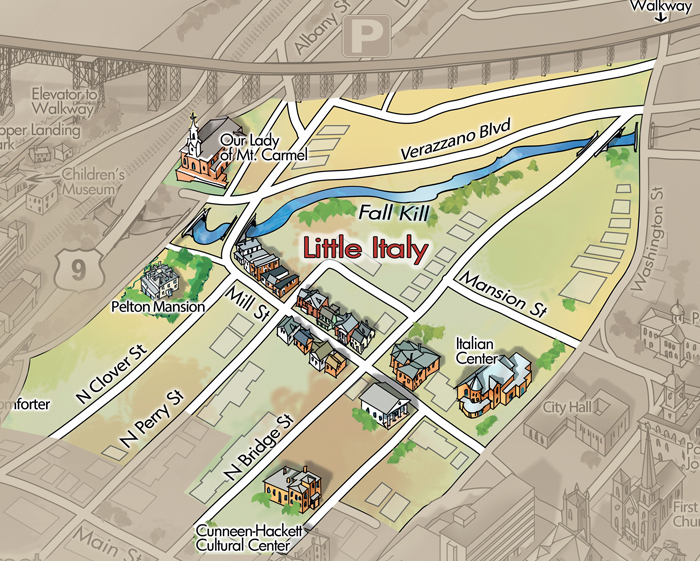 However, the locomotive age made Poughkeepsie’s Little Italy, sprouting in the shadow of a train trestle, truly distinct. 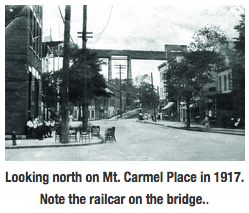 The neighborhood’s first residents were the Irish, escaping the potato famine in the 1840s nearly 3000 miles away. In typically successive waves moving in and out of the area, they were followed by Germans who brought their trade skills of cigar-making, barbering, and shop-keeping and then again by Eastern European settlers. The Italians, great builders of America’s rapidly expanding infrastructure, arrived in the late 1800s in time to construct the great railway bridge. 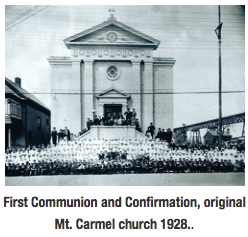 Settling close to work, they also built churches, schools and, at Pelton’s Mansion, the first daycare center for immigrant children – all seeds of the tight-knit community that exists today. 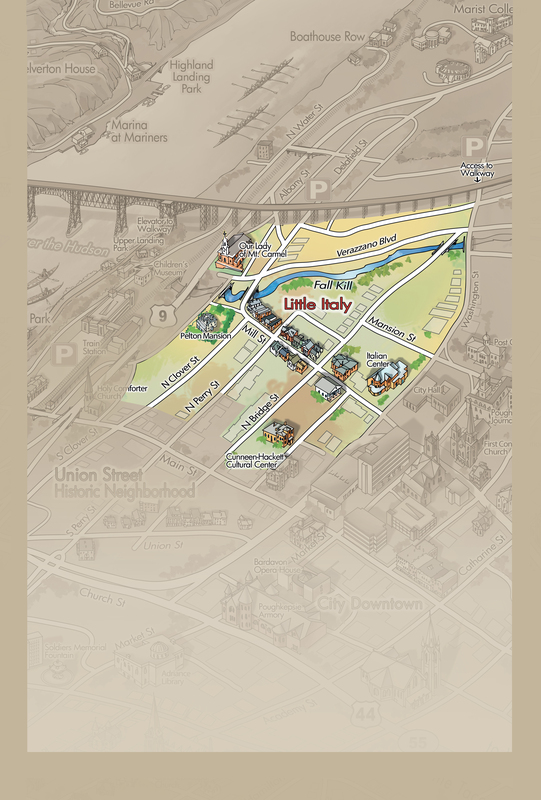 Warmly welcoming visitors without seeming like a tourist attraction, Little Italy remains true to its roots, offering authentic meals, festivals, and neighborly conversation. 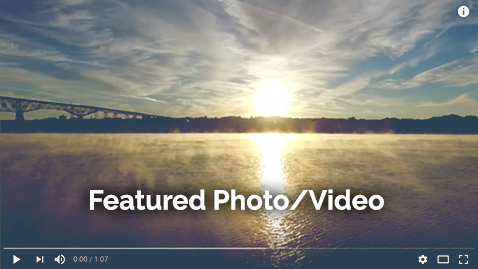 Over the years, its proximity to the Poughkeepsie-Highland Railroad Bridge has served many purposes. During World War II, anxious GIs bound for New York by train before being shipped off to Europe would toss out letters to the streets below, hoping they’d be mailed to their intended destinations. More recently, workers repairing the trestle to create the Walkway used a similar form of vertical communication. With limited time for lunch breaks, they would lower baskets to a restaurant below along with their food order and pull up a meal, part of a living tradition that happily combines hospitality, location, and gastronomy.